After a long trip abroad, it can be difficult to get back into our usual routine at home. As you know, I just got back from our trip to Italy. It was amazing but when I got home, all I wanted to do was relax and spend time with Sebastian. I love my routine, especially my skincare routine. It has taken a long time to get right and maintain. However, it can seem like a lot of work after being away. In reality, it’s not, I’m just still on vacation time. So, with the help from my partners at L’Occitane, I’m prepared to get right back at it after being away. 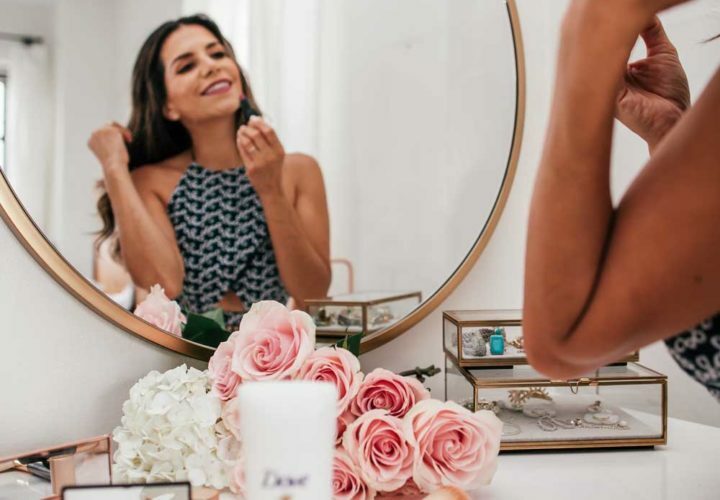 Today, I’m sharing how I make sure my schedule and skincare routine doesn’t take a break between vacation and everyday life. As tempting as it is to extend vacation mode, don’t! The longer you delay this process the harder it will be to get back into it. If you’re able to, leave yourself some time in your calendar to reset and refocus for the days and weeks ahead. This is something I sometimes struggle with because even though it can be daunting, all I want to do is start (or keep) working. We all know it isn’t always that easy to just press the reset button. We all have to get our body and mind right first. Without that, things can begin to blend together. You forget stuff and it can quickly snowball. This is the perfect time to delegate certain things that can be done by others for you. I understand this isn’t always possible but if you can, do it. Give yourself that extra bit of time for yourself, to get back to your best. Also, take note of what works and what doesn’t. So come the next trip, you’re well prepared to get back into the swing of things upon your return home. My skincare routine is sacred, even more so during the colder months. If I make a change, it’s for a specific reason and for an added benefit. Even though it’s second nature at this point, steps can be dropped when traveling because your schedule can be all over the place. Plus, traveling can do a number on your body, especially on your skin. The day I get home, I take a few hours to myself to unwind and recover that evening. If you are like me, when I feel good, I look good. It’s usually the other way around but when my skin feels good, when I’m refreshed, when I’m not stressed, I always look my best. Now some skincare products take some time to work. This is when I turn to one of my favorite brands, L’Occitane. They have so many amazing products and I admire their sustainable sourcing efforts. 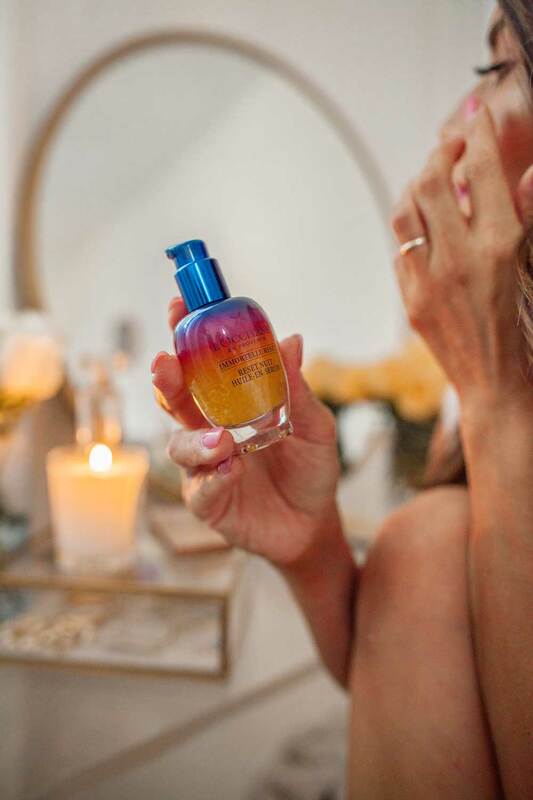 I love to use their Immortelle Overnight Reset Oil-In-Serum. It redefines beauty sleep. After just one night I notice a difference in my skin. I look more rested, which is exactly the way I want to look after a nice vacation. 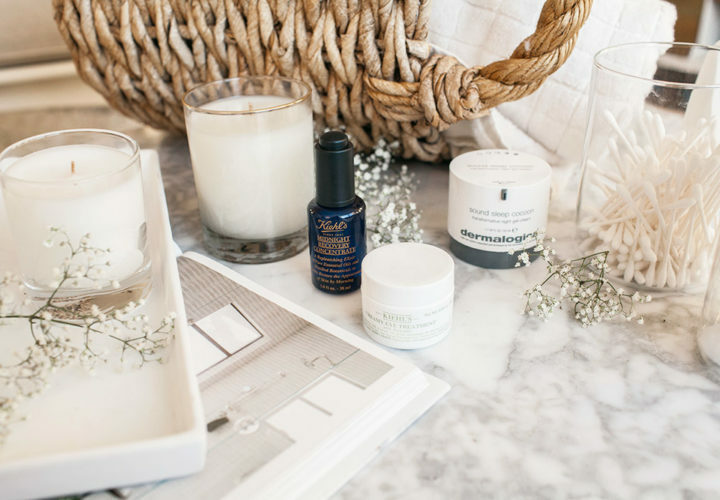 You can really hit the reset button on your skin. This product is lightweight and doesn’t feel greasy like some oils can. If you need a quick fix for your skin that does the heavy lifting while you sleep, you’ll love this product. The more often you use it, the better your results will be. Below are some of my other favorites from L’Occitane. Here’s what I’ve done since returning from our recent trip to Italy. Remove makeup as soon as possible. Once I know that I’m “done” for the day, I’ll remove my makeup with a cleansing oil. L’Occitane has one from their Immortelle line and their Shea Butter Cleansing Oil. A cleansing oil does wonders to break down makeup even waterproof formulas and remove it from your skin. I also love that it leaves your skin feeling hydrated. Again, this step is crucial to repair any dryness while traveling. 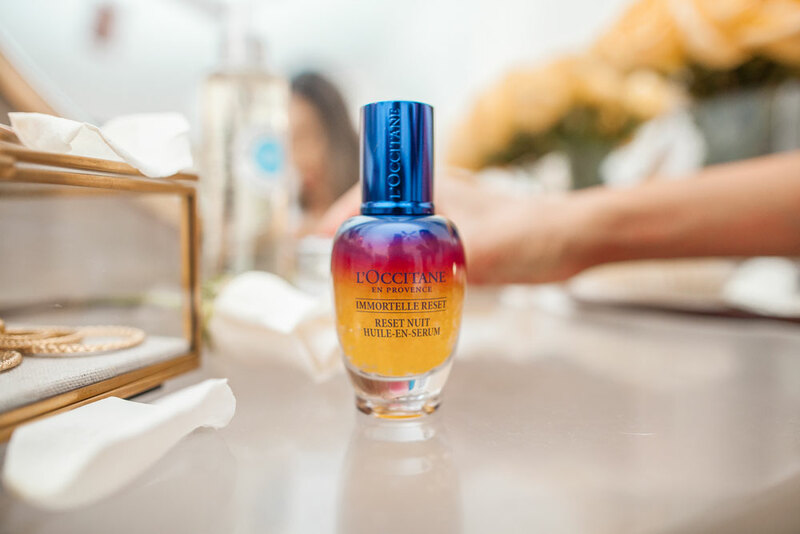 Oils have always been a huge part of my skincare routine, so now that L’Occitaine has the Immortelle Overnight Reset Oil-in-Serum, I’m able to replenish my skin while I sleep! It feels like a superfood for my skin. 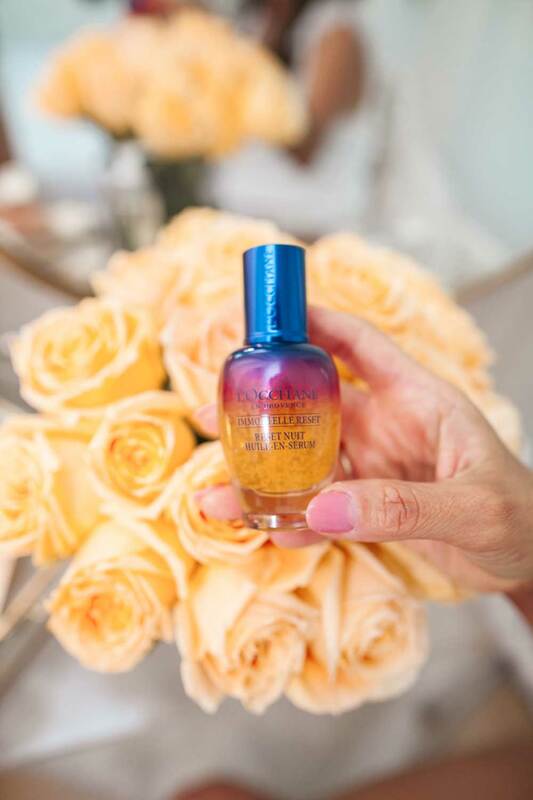 You get the benefits of a serum and oil in one product. It has anti-aging properties and leaves you with a nice glow when you wake up. Moisturize. The Shea Light Comforting Cream adds hydration to my skin to help it feel nourished and returns it back to its original state. I have dry skin, so a rich moisturizer like this before bedtime helps my skin feel balanced when I wake up. It’s a non-greasy cream and has 5% shea butter making it a good fit for different skin types. Today is your chance to get an amazing deal. Through today October 3, use code RE477 to receive 20% off your full-priced purchase. You’ll also be able to choose a free skincare gift as well! The products main ingredients are Marjoram, Acmella Oleracea, and the namesake ingredient Immortelle Essential Oil. Marjoram helps give your skin that lit from within glow. Acmella Oleracea smooths the skin making it soft to the touch. 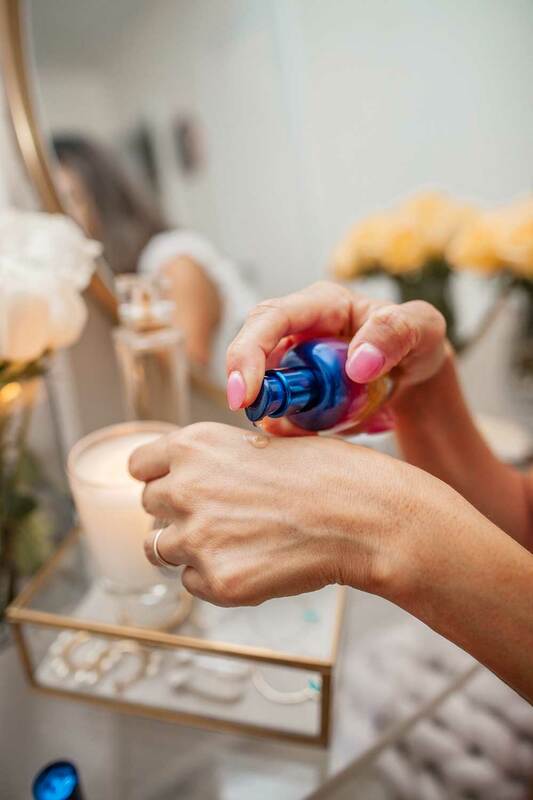 Immortelle Essential Oil combats and reduces visible signs of aging. 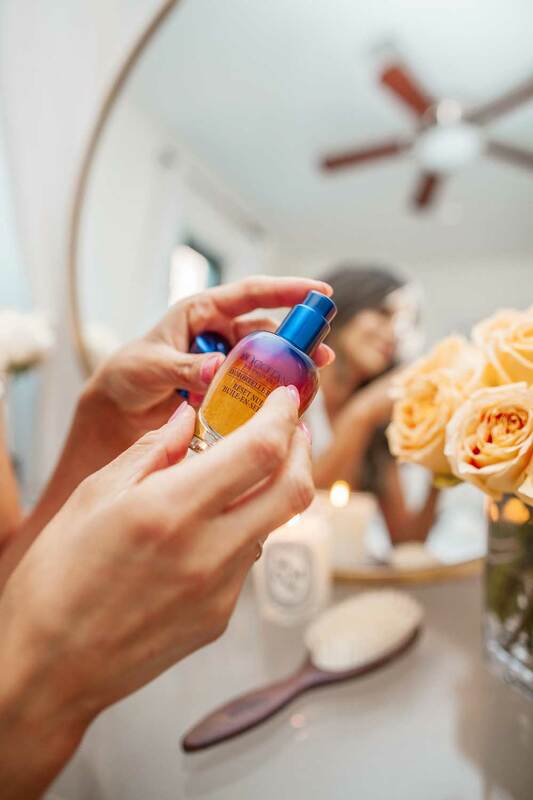 L’Occitane has created two entire line around the Immortelle Essential Oil, the Precious and Divine. They’ve also invested in a large-scale organic sustainable plantation for the Immortelle flower in Corsica region of France. Prior to using the product clean your skin and dry it. Take a pea-sized drop of the oil and massage gently working your way upwards from the jawline. Then from your nose work the product up to your forehead and temples. Work in circular motions until you feel all of the bubbles have melted into your skin. 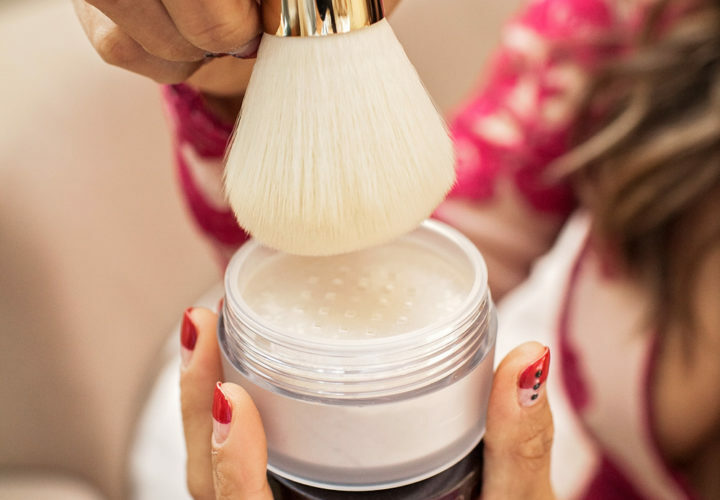 Allow the product to fully absorb before applying moisturizer. This is a really easy product to apply. It fits seamlessly into my routine and can actually cut down on the number of products you use if you’re using both a serum and a facial oil. As I mentioned above, unlike a lot of oils on the market, this one isn’t greasy or sticky. It absorbs beautifully. The scent is faint but sweet. It’s pleasant but isn’t overpowering. At first glance, the price may seem like a deterrent based on the quantity but so little is needed per application that one bottle will last you a long time. I know this is the type of product that will make a big difference for my skin as the temperatures start to shift. This product is great for all skin types and ages whether you’re in your 20’s or 50’s. It’s never too soon or too late to take proper care of your skin. 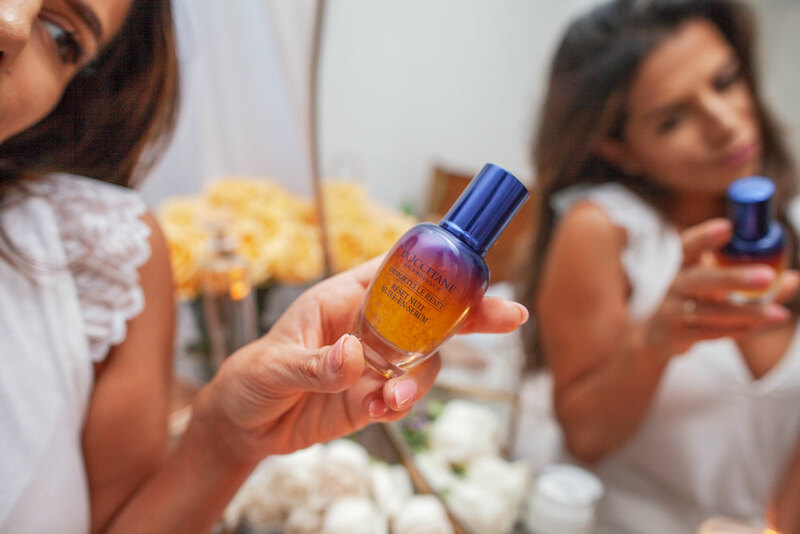 The Immortelle Overnight Reset Oil-In-Serum comes in a 1 oz bottle so if you’re like me and get nervous about leaving makeup or skincare in your checked bags, you can bring it with you in your carry on. There are also lots of other travel-friendly options from L’Occitane as well. I love getting the sets. They usually come in the perfect size for travel whether it’s a quick weekend trip or you’re spending a few weeks away. With the holidays around the corner, they also make the perfect gifts. Speaking of the holidays, the advent calendars just came out! You can get the signature one here or the luxury one here. What are some of your tips and tricks for taking care of your skin after a vacation? Don’t forget to use code RE477 through today October 3 to receive 20% off your full-priced purchase as well as a free skincare gift!